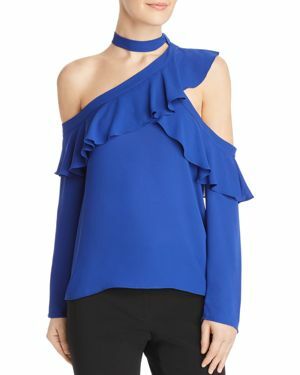 The statement top can be an intimidating garment. Like the statement skirt, shoe, or necklace, it works best when everything else is kept simple. Here are a few tips to help you wear your statement top with confidence. Find a style that flatters you. Fit is the most important element of any piece of clothing. Find a statement top that flatters you. 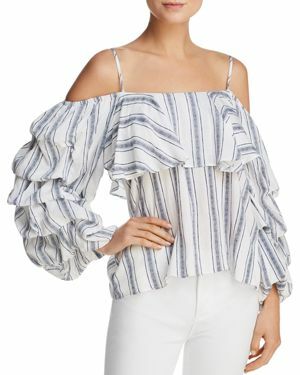 For women who are broader on top, a cold shoulder statement blouse is wonderful. 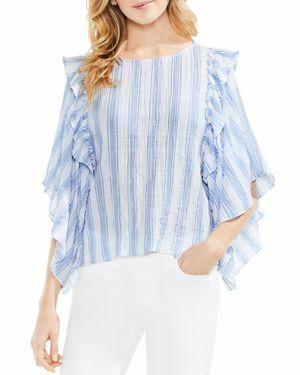 For women with narrow shoulders, a puff sleeve works well. Fun fact: the technical term for the type of sleeve I'm wearing here is "Leg of Mutton" or gigot in French. The gigot sleeve has been going in and out of style since the 1820s. 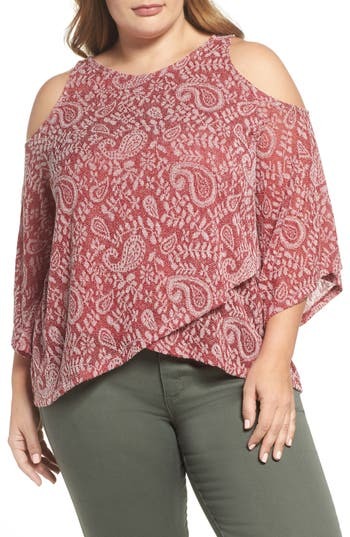 Choose a top rendered in a casual fabric. 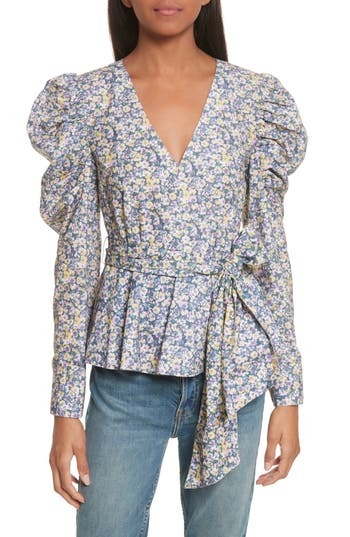 Statement tops have a lot going on. You are more likely to wear one if you find it comfortable. 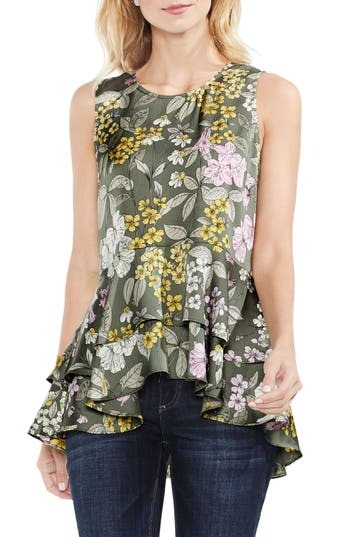 A blouse rendered in cotton, poplin, or rayon will be appropriate for everyday life. These casual fabrics ensure your look is 2018 rather than 1820. Keep everything else simple and sleek. Let your top be the star of the show. Your pants, shoes, and accessories are all supporting players. This is a key reason to have nice basics in your wardrobe, even if they are a bit boring. They allow your statement pieces to shine. With my outfit, I paired my top with light wash skinny jeans, silver hoops, and blue suede pumps. I chose to add a Chevron Stripe clutch. Stripes and florals are nearly always friends. A solid navy or tan bag would also work fabulously. I've said it before and I'll say it again--you can alter your clothing to your needs. Taking up shoulder straps and hemming sleeves are simple fixes that make a big difference. 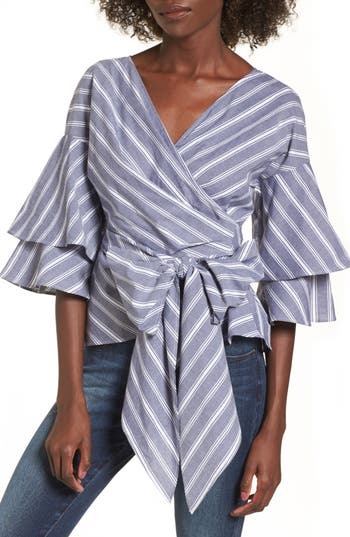 Additionally, wrap tops can be adjusted to your liking without visiting the tailor. For this one, I sometimes wear the wrap tied neatly in a bow, and sometimes I let the excess fabric hang down. And, I nearly always scrunch up the sleeves. Tip: if your scrunched sleeves won't stay that way, secure them with an elastic hairband. 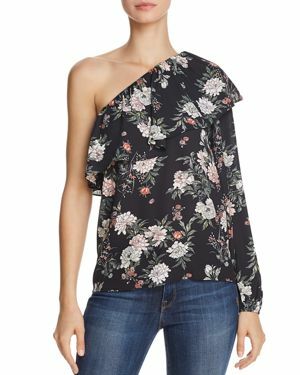 In a world accustomed to t-shirts and gym clothes, wearing a statement top is bound to get you noticed. People will comment on it. Every time I wear this blouse, it starts a conversation with a few random strangers. While waiting for my photographer, I ordered a coffee. The barista complimented my shirt and said she loved how Early 90's it was. I told her, I affectionately call it my Fresh Prince of Bel Air shirt for the same reason. Go into the world knowing you're bound to start a conversation. 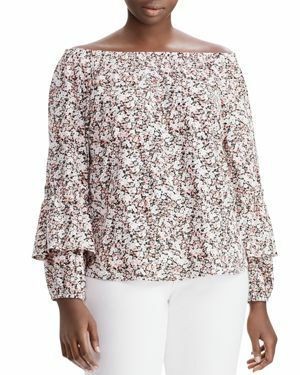 ​If you find a top that is flattering and comfortable, and keep everything else simple, you can rock a crazy shirt with ease. When you know why something works, you'll have the confidence to wear it. Shop my favorite statement tops below.